The word "adoption" (huiothesias) means the placement of a son to one to whom it does not naturally belong. By law the adopted person has the same privileges, benefits, position, responsibilities and obligations as a natural born son. The word is found in Romans 8:15, 23; 9:4; Galatians 4:5; Ephesians 1:5). Believers in Jesus Christ are adopted sons (Gal. 4:5; Eph. 1:5), not slaves of fear (Gal. 4:7). "You have received a spirit of adoption" (Romans 8:15). Jesus Christ has redeemed us "that we might receive the adoption as sons" (Galatians 4:5). It is part of the blessings of salvation, the now and the yet to be, because we have received our adoption, yet "even we ourselves groan within ourselves, waiting eagerly for our adoption as sons, the redemption of our body" (Romans 8:23). It is part of "our blessed hope" (Rom. 8:24-25). God the Father "in love . . . predestined us to adoption as sons through Jesus Christ to Himself, according to the kind intention (lit. good pleasure) of His will" (Ephesians 1:5). This is not the same doctrine as regeneration or being born spiritually. The apostle Paul drew an illustration from the Roman law of adoption. The modern laws of adoption are based on this very serious legal act before the principal Roman magistrates which enabled a person to take into his own family a child not his own with the intent of treating the child as his own with all the privileges and responsibilities of that new family. This is a very important law because the adopted child had all the rights of a legitimate son in his new family and at the same time absolutely lost all rights and responsibilities in his old family. He was treated like a new person. All of his old debts and obligations connected with the old family were abolished as if they never existed. On the other hand, he now by right of the law stood as an heir to all of the inheritance of his new father. It was carried out in the presence of seven witnesses to make it official. The adopted sons enjoyed the same privileges as natural born sons. According to the Roman law the adopted person lost all rights in his old family and gained all the rights of a legitimate son in his new family. He got a new father and he became the heir of his new father's estate. He was inalienably co-heir with the other sons in the family. In law, the old life was completely wiped out. All debts were cancelled, and he was absolutely the son of his new father. As children of the heavenly Father we have been given full legal status and inheritance rights (1 John 3:1; Romans 8:23, 14-15; Revelation 21:7). We have been raised to the status of adult sons. We as believers are the absolute possession of the Father. He has absolute right over us. The apostle Paul uses this well known custom in the Roman Empire to state the great gospel truth that the LORD God has given the believing sinner, who is not His natural child, an unchanging eternal position as His adult child in His family. This is now our new legal position before God the Father. The Holy Spirit places believing sinners in the family of God as adult sons (Romans 8:15; Galatians 4:5; Ephesians 1:5). Even though we are already adult members, by adoption, in the family, it is only when our mortal bodies have been glorified at the coming of Christ that we will take full possession of all that our sonship involves (Rom. 8:23). The apostle Paul uses the same word "adoption" in Rom. 8:15, 23, but with a different emphasis. In v.15 he is referring to the present life of the believer, whereas in v. 23 he is eschatological, looking forward to our final full acceptance into the family of God. When we put our faith in Christ we received a "spirit of adoption" that set us free from a servile fear of God. We do not have to shrink in fear from God, but now have "access" into His holy presence. The Holy Spirit places believers as adult sons in a legal standing before God. M. R. Vincent says our adoption should serve to impress upon us "the assurance that the adopted son of God becomes in a peculiar and intimate sense, one with the heavenly Father." The Holy Spirit enables the believer to call God, "Father" (Romans 8:15). No Jewish person would ever have done that before Jesus, the Son of God, taught His disciples this truth. The Holy Spirit bears testimony to our human spirit that we are children of God. Our own spirit, prompted by the Holy Spirit, tells us we are God's children. The Spirit that God has given the believer does not make you a slave, but one of His children. The gift of the Holy Spirit is the means through which believers become conscious of their sonship (Romans 8:15). There is a close relation between our adoption and the gift of the Holy Spirit. Before becoming God's children we were slaves living in fear of a righteous God, but now God's Spirit has released us from that fear so we can enjoy our new relationship with Him. We do not have a heart like a slave living in fear of a tyrant, but the heart of a son responding to a loving Father. What a privilege to call God our Father. Galatians 4:4-5 reads, "But when the fullness of the time came, God sent forth His Son, born of a woman, born under the Law, so that He might redeem those who were under the Law, that we might receive the adoption as sons." The Holy Spirit is sent into "our hearts," i.e., the center of our intellect, moral, and spiritual life. It is from the heart that the Spirit cries out, "Father, my Father." It is a loud earnest cry, even a public cry. Paul says it is an intense cry from the Spirit within the believer. The Spirit cries from within the believer's heart giving witness of saving faith. 1. Since believers are adopted and placed as full grown adult children (sons) into God's family we are no longer slaves to sin (Gal. 4:7). We can now approach the Father in an intimate way calling Him, "Abba, Father" (Rom. 8:15). 2. We are God's children in two ways: (a) As adopted sons of our heavenly Father we are full heirs and co-heirs along with His own unique Son, Jesus Christ (John 17:24; 1 Cor. 3:21-23; Gal. 4:7). 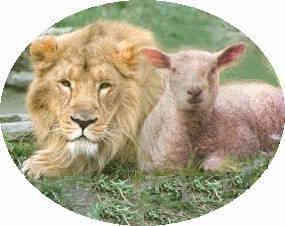 (b) We are also His children as "born ones" by the new birth (John 1:1; 3:5; 1 John 3:1-3). Both actions are the result of the Holy Spirit. 3. As children of our heavenly Father we are the recipients of all spiritual blessings (Eph. 1:3) in this life, and we will "share in His glory" in the future (2 Tim. 2:12; 1 Peter 4:13; 5:10). 4. As co-heirs with Christ we also "share in His sufferings" (John 15:20; Col. 1:24; 2 Tim. 3:12; 1 Pet. 4:12). 5. The Holy Spirit can empower us to obey Christ, therefore enabling us to be more like Christ.